You are at:Home»Industry»Are The Founders Of Drybar About To Launch Another Market-Disrupting Concept? Are The Founders Of Drybar About To Launch Another Market-Disrupting Concept? 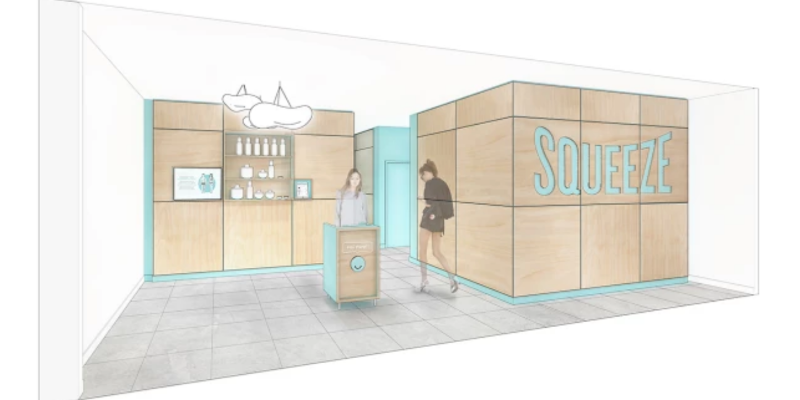 LOS ANGELES, United States — The team behind successful US blowdry chain Drybar are setting their sights on disrupting another wellness category with the launch of new massage concept, Squeeze. Set to launch in early 2019 in Los Angeles, the massage brand will mirror much of Drybar’s model by enabling customers to book and pay online via an app, before heading to a boutique salon for a bespoke treatment. The service, which claims to be “a way better massage experience” will allow customers to book by location or favourite therapist, set personal preferences such as room temperature, music and lighting and avoid any hassle regarding payment. Brittany Driscoll, the former VP or marketing at Drybar, told Fast Company that the brand aims to improve the traditional massage experience with a tech-savvy approach to booking and an emphasis on personalisation, in order to get rid of the main pain points. “We’re eliminating the awkward in-person exchanges. Then you literally float out after your massage and tip, rate, and review your therapist at your leisure,” explained Driscoll. Massages at Squeeze will start at $39 for 20 minutes, with $109 and $129 options also available for 50 and 80 minute sessions. In addition, monthly treatments will be available for members, to reduce costs further. If the first Squeeze location does well, the plan is to open up more locations, starting with New York and Dallas, before scaling further. Founded in 2009 by siblings Alli Webb and Michael Landau, Drybar currently boasts more than 100 locations across the US and Canada, including New York, Los Angeles, San Francisco, Chicago and Washington. Having scaled via a mix of licensed stores and those that are owned by the company, according to Landau the franchise model has been found to work best when it comes to rapid growth, and so he’s keen to recreate the strategy with Squeeze. “One of the things we learned from Drybar is that while we like to own salons ourselves because they make a lot of money, when we have a franchise operator that has sunk their own blood, sweat, and tears into the store, and they know the local market, it runs better and more efficiently,” he told Fast Company. With eight years under their belts at the helm of Drybar, Webb and Landau certainly know a thing or two about building a category-disrupting brand. However, this time around Driscoll has been chosen to take the reigns with Squeeze, while they continue to grow Drybar. As consumers continue to invest more time and money into self-care, in a bid to take control of their health, Squeeze hopes to leverage demand by filling a void in the market for affordable and accessible massages offered within an aspirational environment.